In the early 2000s, Angola was deep in the process of rebuilding after 27 years of civil war. With a very weak infrastructure and a poorly functioning market economy, Angola’s costs of production for nearly all products were high. It imported large quantities of almost all major food products—potatoes, onions, carrots, garlic, rice, and wheat. The U.S. Agency for International Development (USAID) has worked with several implementers to help address small farm-level issues of production and marketing. While focused on local production, these programs have not been able to identify all of the possible regional trade opportunities to stimulate their own productivity. 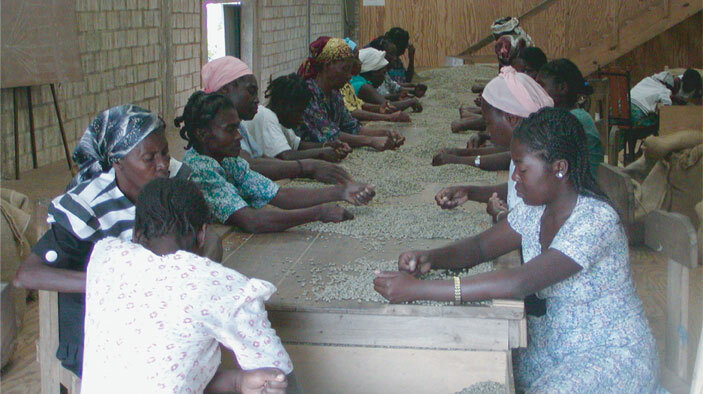 ProAgro was designed to test ways to use regional trade as a stimulus to rebuilding the agricultural sector in Angola. Working closely with the input supply industry, project staff facilitated access to new markets for goods needed in Angola, and enhanced the business links in the South African economy, focusing on three subsectors: potatoes, bananas, and coffee. Enhance commercial markets for improved agricultural equipment and technologies. Increase availability of domestically produced high-quality potato and garlic seeds. Identify foreign investment partners to enhance Angolan production and/or improve marketability of products. Conduct subsector analyses and market studies to inform the development of commercial markets. Link farmers with local distributors and agriculture suppliers. Organize trade missions for businesses and officials. Facilitated $800,000 of trade in inputs and technology. Two of the subsectors were included in the Agricultural Development and Finance Project, a five-year follow-on project funded by Chevron and USAID.